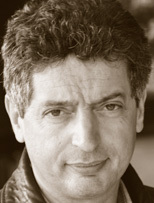 Yakov Fain is a Managing Director at Farata Systems, a company provides consulting and training services. He authored several books and dozens of articles on software development. Sun Microsystems has nominated and awarded Mr. Fain with the title of Java Champion, which was presented to only a hundred people in the world. He holds MS in Applied Math. You can reach him at yfain@faratasystems.com. This webcast is an overview of the Angular 2 framework. All code samples are provided in TypeScript, which is a recommended language for developing Angular 2 applications. This webcast talk is a fast paced comparison of different ways of developing HTML5 Web applications.